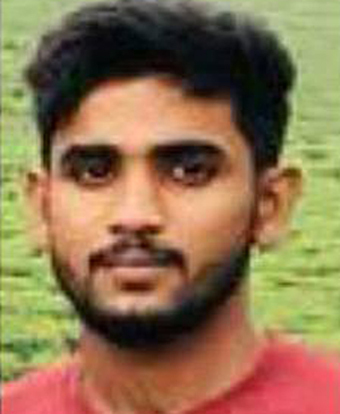 Kasaragod, Aug 10: The Democratic Youth Federation of India (DYFI) has sought to broaden the ambit of the investigation into the recent murder of CPI(M) loyalist Aboobakar Siddiq, near Uppala, to expose the alleged conspiracy behind the crime. “The shocking attack on Aboobakar Siddiq, 21, late on August 5 at Songal was apparently a fallout of resolute intervention by Left activists against lingering communal frictions and the growing clout of the liquor lobby, DYFI State president A N Shamseer, MLA, said in a statement here. The investigation should be broadened to see that the possible conspiracy angle was exposed as the murder seemed to have been executed in a meticulous fashion, he said. Aboobakar Siddiq was stabbed to death around 11 p.m. on August 5 allegedly by two Bharatiya Janata Party loyalists identified as Asvath and Karthik following a brawl over trading illicit liquor in the area. The BJP loyalists, who were returning home after taking part in a birthday function, in a fit of anger stabbed the youth using a knife. The BJP leadership here maintained that the crime was not perpetrated out of political enmity and was a fallout of the rift over the flourishing illicit liquor business in the locality. A special 15-member investigating team headed by Coastal Police Circle Inspector Sibi Thomas arrested the duo the following day and they were remanded in judicial custody.